The elementary formula for success in healthcare marketing and advertising is to engage a prospective patient with a meaningful answer to their problem at the right time. The recipe sounds simple enough, but putting it all together…well, it’s complicated. Here’s how to organize your tools and build your marketing, advertising and promotional plan around the three main categories: OWNED, PAID and EARNED media. It’s sort of the triple crown of healthcare advertising. Perhaps the strongest characteristic within Owned Media and Paid Media is that you control the message and thus communicate your brand message. Earned Media, as the name implies, is driven by the consumer or audience, and reflects the (hopefully positive) outcome or consequence of the other two categories. These terms are sometimes used as a marketing-speak shorthand, but they aren’t buzzwords. Here’s how the respected research outfit, Forrester, defines and summarizes each media type along with their benefits and challenges. Success—achieving overall and individual goals—comes from a coordinated execution of these elements…in the right combination, emphasis and timing. 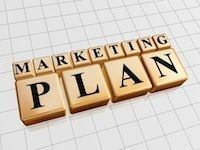 Some marketing plans are more effective with the aid of an experienced professional agency. All three components are vital to healthcare marketing success.